U.S dollar index is on an eighth days bullish streak. Currently, the upward movement testing 96.70 resistance and showing initial breach. Today, there are three possibilities we think could happen after the test. A strong breakout followed by selling and the index close below 96.70. The second scenario is a break and close barely above 96.70. The last scenario is a major breakout above 96.70 and accelerates before the market close. Waiting with short positions might be a good option to take at the current time. No bounce happened in EUR/USD yet. The pair continues under pressure for the fifth day and might continue today. Nevertheless, 1.1300 is a good level to place long positions. We could expect further weakness today and watch how 1.1300 reacted when tested. 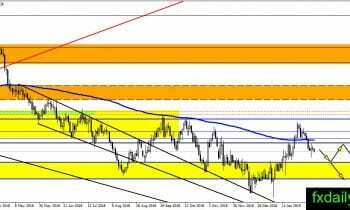 If a bounce happens then EUR/USD might consolidate between 1.1300 – 1.1360. 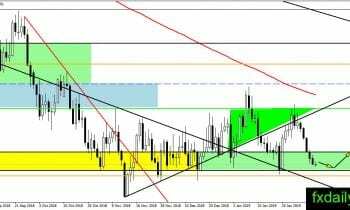 GBP/USD could not return above daily SMA 200 and suggest further weakness is on the card. Currently, the pair slightly lower below Friday low. 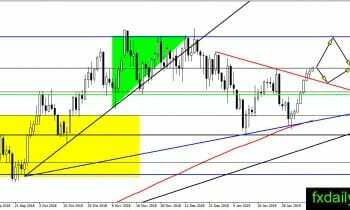 If the weakness continues then GBP/USD expected to test 1.2800 support level in coming days. The pair still trapped inside triangle range and showing no change to the outlook. But, it is currently challenging resistance 110.00 and holding out near it. If there is enough bullish pressure then we might see USD/JPY hanging at 110.50 by the end of the day. 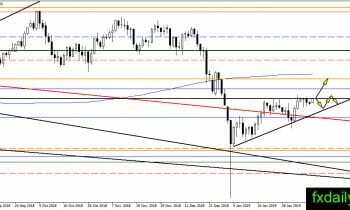 The upward target of breakout is 110.50 and daily SMA 200. 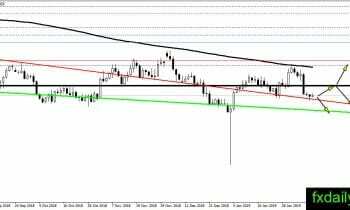 AUD/USD situation favored the bearish scenario as the pair crossed below 0.7160 and printed lower low on the chart. We could expect further weakness on the pair with or without a test on 0.7160. The only thing which could reverse current bearish pressure is the closure above 0.7160.